Note: This post was taken from our French sister site, ONF.ca, and has been translated into English. The morning is cool and the sky is exceptionally blue for Tokyo. People are arriving at work at the west entrance of the gigantic NHK complex. (The Japan Broadcasting Corporation (NHK) is like the CBC, times ten). Hundreds of employees file past; the anthill is filling up. I am greeted by Shin, the young producer who will be accompanying me during this day of touring technology laboratories, modern-day Meccas of image and sound research. 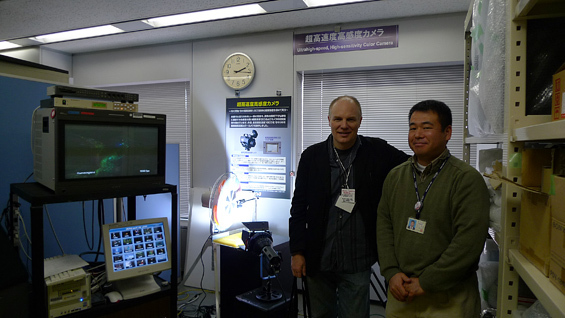 First stop: the stereoscopy unit, where I watch a film on the city of Tokyo, disguised as a humdrum tourist documentary. Bit by bit, subtly and tastefully, the film wins over the spectator with its stereoscopic perspective. It is an intelligent mix of mastery and finesse. Never flashy, always soothing on the eyes and mind. The second leg of the tour takes me to the technology engineering centre, located in the western part of the huge complex. As soon as you step into the modern building you are struck by its austerity. 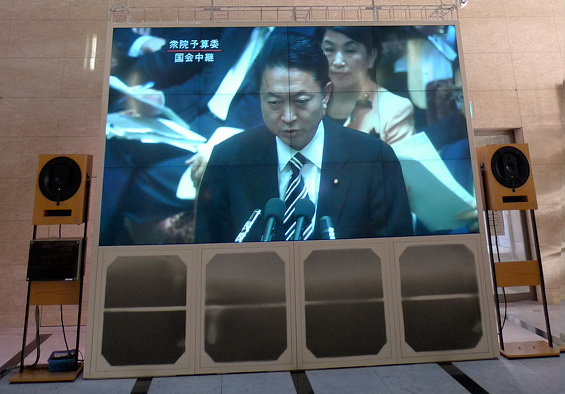 There are flat screens everywhere, even in the elevators, broadcasting a session of the Diet, the Japanese parliament. After all, NHK is the country’s public broadcaster. The visit speeds up, as there are still a lot of things to see and hear. With the help of an ultrasensitive microphone that can detect even the tiniest vibrations, for the first (and probably last!) time in my life, I hear a snail’s heartbeat. Can you imagine listening to the noise a centipede makes crawling on sand? 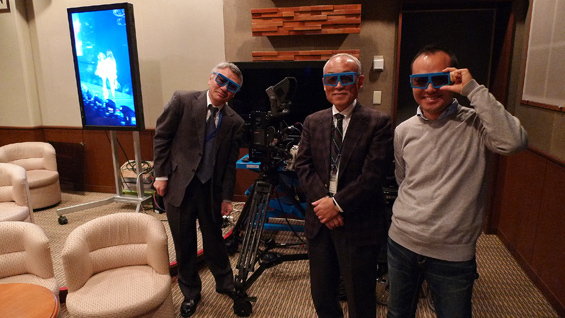 At the NHK, you have a chance to hear what it sounds like. Tomorrow’s televisions will be thin and flexible, like a sheet of paper. I’ve seen one. And people will watch stereoscopic TVs without wearing glasses. 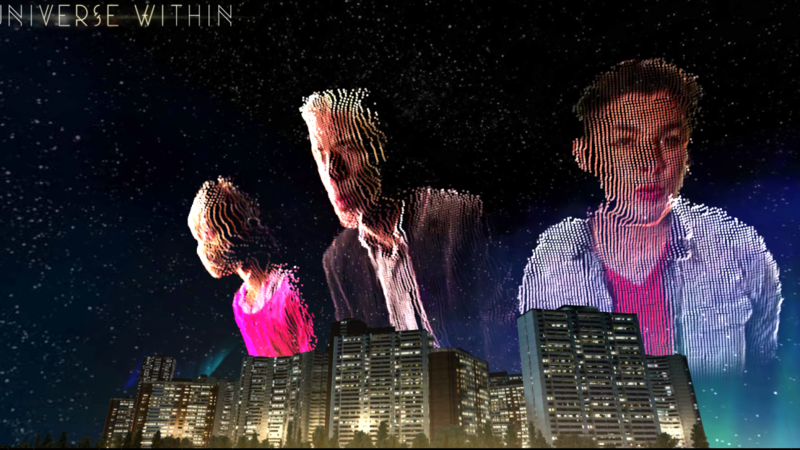 Depending on where they are positioned vis-à-vis the screen, each person will have a different spatial experience of the same broadcast. The world’s most sensitive camera films shadow as it if were bright sunlight. And what can I say about Super High Vision? A video image projected on a very large screen, immersing you in a visual and auditory experience every bit as good as IMAX – if not better. This type of research is important. I can vouch for it. In my opinion, a society can not only prepare for the future: it can also define the shape of things to come. It’s a matter of recruiting the best people and allocating the necessary resources. 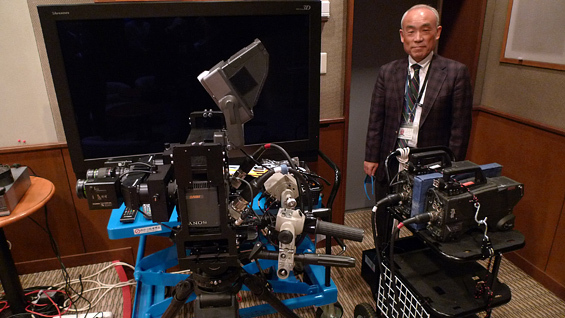 Despite the recession, Japan’s NHK hasn’t abandoned applied research. Indeed, what it does is sometimes closer to fundamental research, inspired and inspiring. Teachers can use Highrise: Universe Within to enhance pedagogy for both group and independent study. I have found that this digital project provides an important critical context for social studies in the classroom. Inspired by the immersive experience Kyma, Power of Waves, presented at the Rio Tinto Alcan Planetarium in Montreal, this blog post explores the phenomenon of waves in their many different forms through 360° video clips.